Most people do not associate flowers with danger, but maintaining occupational safety is an important element of florists' work. Florists routinely work with tools and materials that are potentially dangerous if sound techniques for florist occupational safety are not observed. Florists use sharp knives, scissors and shears every day to cut flowers and other materials. They are trained to handle these tools carefully to avoid cutting themselves or others. Florists work around water-filled buckets and vases every day, which can result in dangerously slippery floors. They learn to avoid spills, and to clean up spills promptly to prevent falls. Many florists wear gloves to protect the skin on their hands from exposure to numerous potentially harmful materials, including rose thorns, pesticide residue on flowers, and bleach that is sometimes used to clean flower buckets. Some florists also wear thick rubber gloves to protect their skin from being cut by the sharp tools they use. Florists must strive to care for their bodies while they work. They tend to be on their feet all day, so they typically stand on shock-absorbing rubber mats to prevent foot, leg, back, and neck pain, and to avoid developing chronic pain in any of these areas. Many florists use bleach to keep their water buckets clean, and powder or liquid forms of floral preservative to maintain the freshness of flowers. 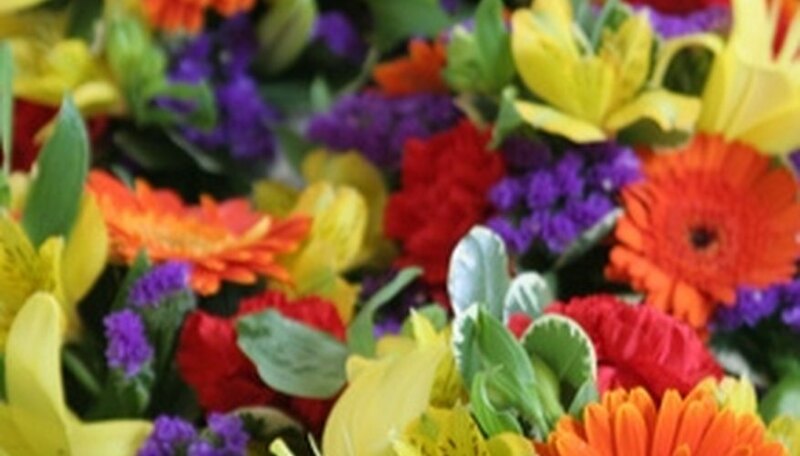 Florists must limit their exposure to these and other potentially harmful substances by avoiding contact with skin, keeping them away from food or drink, and never ingesting them. "Retail Florist Manual"; Kim Colavito Markesich, 2005.